Kathy and I have a simple formula for realizing our dreams. 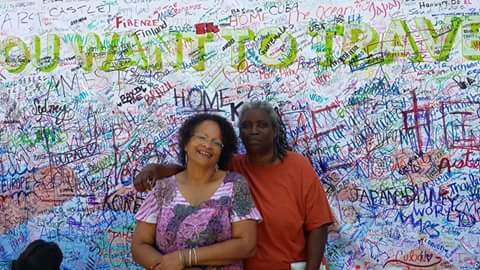 It works really well as we pursue our vision of living a “home free” life of world travel. 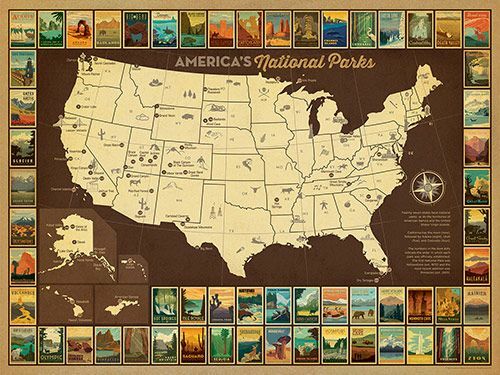 We used this formula for realizing our current dream of spending a year traveling the U.S.A. visiting national parks, African American historical sites and other spots of interest. The first step is gratitude. We give thanks to the Universe and to all the ancestors, angels, bodhisattvas, Gods and Goddesses for the abundance in our lives. This practice centers and grounds us in a place of openers and trust. Next comes intention setting. For us this involves lots of talking, prayer and meditation. 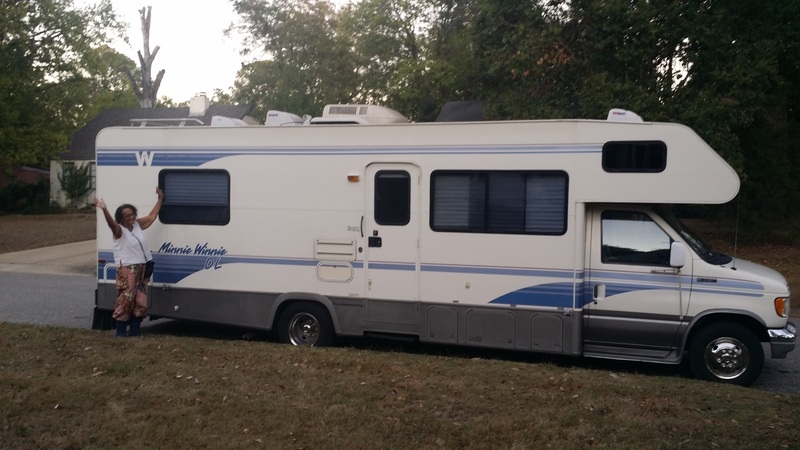 We finally came to the clear intention of buying a used RV and traveling North America for a year or so. The next step is crucial. ACTION! Having formed the intention we began to move towards it. We (Kathy especially) did lots of research while we were still in Asia. What kind of RV? 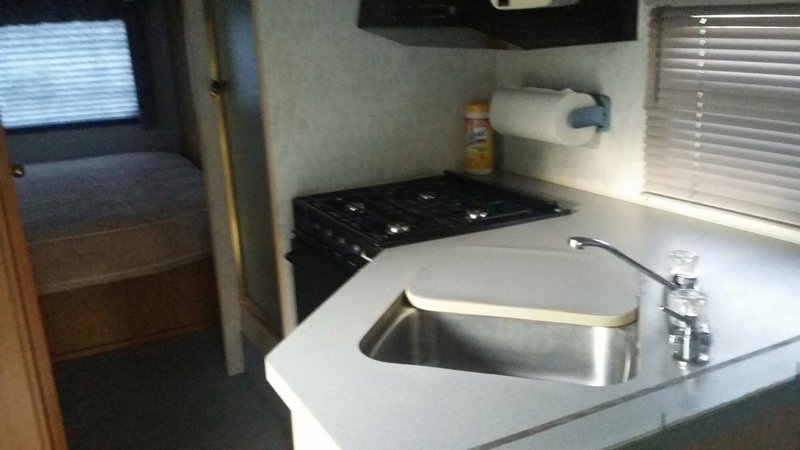 How to buy a used RV? 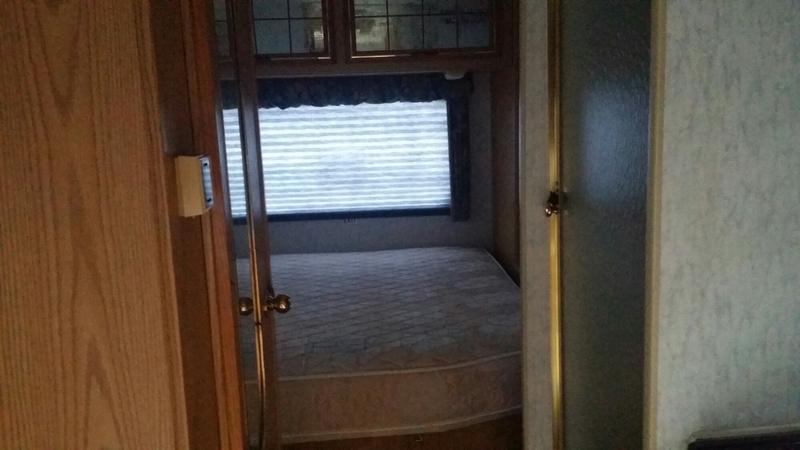 How to live full time in an RV? We budgeted, planned, watched videos and read lots of articles and blogs. We waffled between class A or C, we debated about length, year, models and mileage. By the time we boarded the plane to come home, we had decided to trust the Universe to lead us to the RV that would be right for us. And It did! We landed in Atlanta, Georgia and began our search. We looked at many RVs. Some were too small, some too big. Many were out of our price range. A few were poorly cared for. We found “Winnie” in Mobile, Alabama. I knew it was ours when the beautiful and brown teenaged boy came out to show her to us. 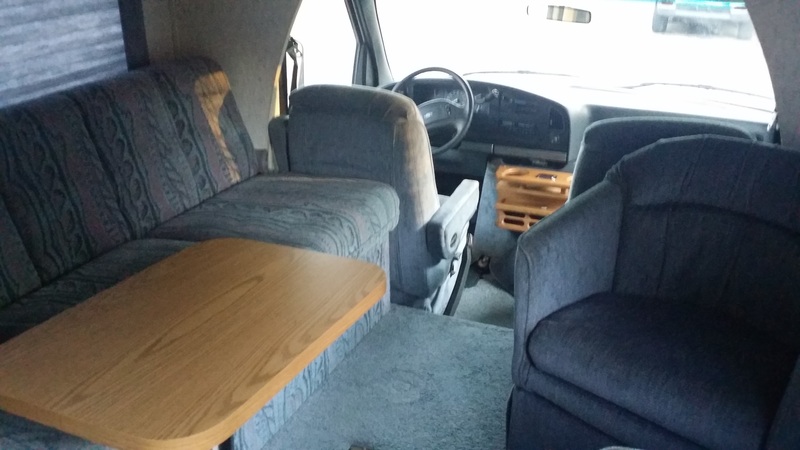 Our 1994 Minnie Winnie DL model Winnebago is clean, well cared for and has low mileage. It’s an oldie but a goodie, perfect for us. Right now it’s at the mechanic’s where they are getting it road ready. 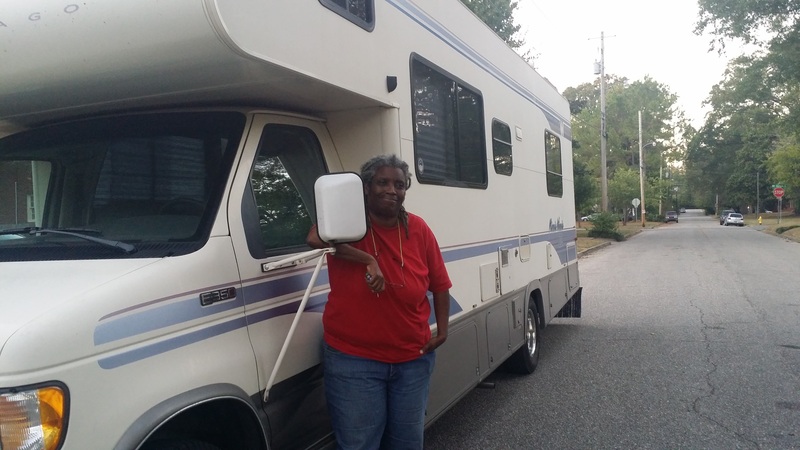 We can’t wait to take Winnie out on the road and to share more adventures with you! How about you? How do you realize your dreams? Also, we’d love to hear your suggestions of spots to visit this year and please follow us and let us know if we are in your area. We’d love to see you. Next postBOLT ❤ MONTGOMERY, BUT It’s Still Alabama! Exxxxxxcellent blog on how you arrived at your decsion to RV across the U.S. for the next year. 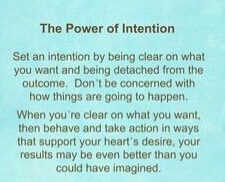 Gratitude, Intention & Action; I love it! We are currently in the process of putting into practice some things that are similar. Who knows, if we haven’t launched out into the deep by the time you set out on your trip, maybe we can break bread together if you happen to make your way to VA. ~ God Speed Ladies! Out to the deep? We would love to spend time with you, either soon or a bit later. Thank you for your kind words. Running over to read up on your plans. Be well. 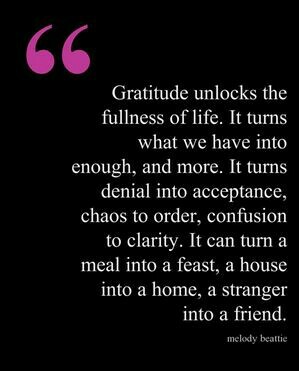 Gratitude and faith. But you know all about that. Be well. We thank you for the invitation and would enjoy seeing you when we are near. Winter is coming so we will be far south for the next few months. Thanks for following us. Let’s stay in touch. Be well. Very nice! And Winnie looks amazing! Enjoy yourselves ladies and keep us posted on all of your experiences and adventures!